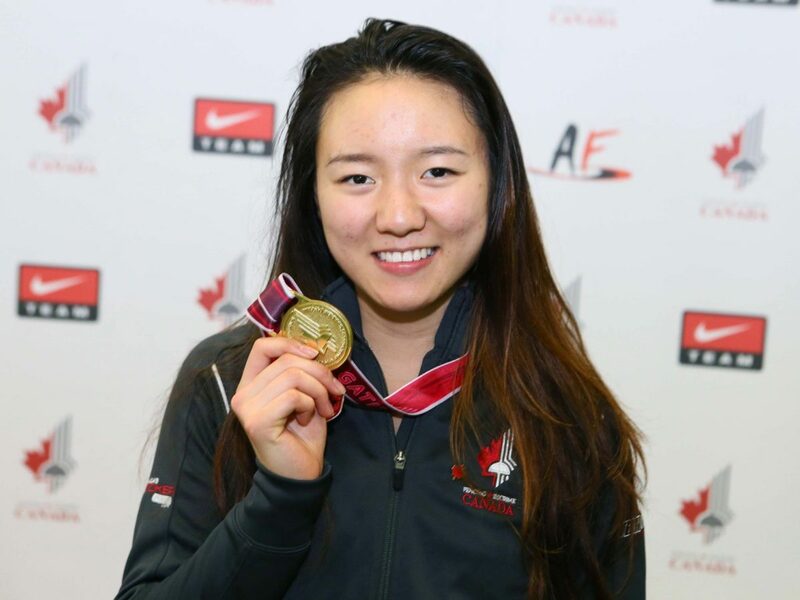 It took Cindy Gao eight years to earn bragging rights as Canada’s top female fencer. The 18-year-old who calls Toronto home finished third at the 2017 Junior Pan American Championship in Havana, Cuba and won the Senior National Championship title that same year. Gao was named the National Fencing Athlete of the year twice – for the 2016-2017 and 2015-2016 seasons. At the age of 16, Gao won the Junior Pan American Championship title in Cancun, Mexico. Gao did double duty in that competition, also competing in the Cadet category where she placed second. She won the North American Cup in 2016 and finished sixth at the Cadet World Championships that same year. “I started fencing in Grade 5 because my mom wanted me to try it. I did it for two years and I hated it and wanted to quit. But after the third year, I started to like competing and I started winning,” Gao recalls. Her road to fencing success began at the Toronto Fencing Club in 2009 under the tutelage of her coach Peter Ho, a former fencing champion in his own right. “Peter was like a fencing dad to me. He did a great job coaching and is a good role model. He paid attention to his students and his positive feedback got us motivated to be disciplined to work hard and become passionate about the sport,” Gao said. “I think what started it for me was talking to Peter about how to approach fencing and the mentality of it. He inspired me to train more. Even when no one else would show up for group practice, Peter was there at the club and that exemplified his dedication to his students. Even though he has a successful job as a physiotherapist he cancels everything to take students to competitions,” Gao said. Gao not only excels in fencing, but also in academics and extra-curricular activities. She speaks French and Mandarin, and she graduated with a 98% academic average in Grade 12 from the University of Toronto School, one of the most prestigious private high schools in Canada. During her freshman year at UTS, Gao won the Dr. T.M. Porter Memorial Scholarship, awarded to the student with the highest average in Grade 9. She is now a freshman at Harvard University in Cambridge, MA., where she is studying computer science. At Harvard, Gao works part time as a math tutor and is a member of Harvard Women in Computer Science and Women in Business. She has been elected the freshman representative for the Chinese Students Association. She won a coveted spot on the Harvard Varsity Fencing Team without even having to try out. She spends 20 hours a week practicing and competing. Gao encourages students to find their own unique path.